A few recent trends in web design get under my skin. Any site that employs a heavy use of parallax, animations, or hijacks the natural scroll behaviour drives me batty. Although this is partially my own preference, these tactics can take away from the experience of the site visitor (user). But is there still a place for animation and other enhancements in web design? I have been to the point where if I see any of these items employed, I would simply close the tab. But I've seen a few compelling arguments and examples lately that have me reconsidering my distaste for anything animated. Fundamentally, a web page should be created on good writing and a well thought out architecture. It should be easy on the person reading the site; no difficult decisions should have to be made. But once the foundation is in place (good writing, solid typography, a clean & sensible architecture, plus supplemental media like photos and video), what then? Is there a way to add a few flourishes with animations or other tactics? Maybe there is. Although I see a lot of bad examples in the course of a week, there are some good ones out there. 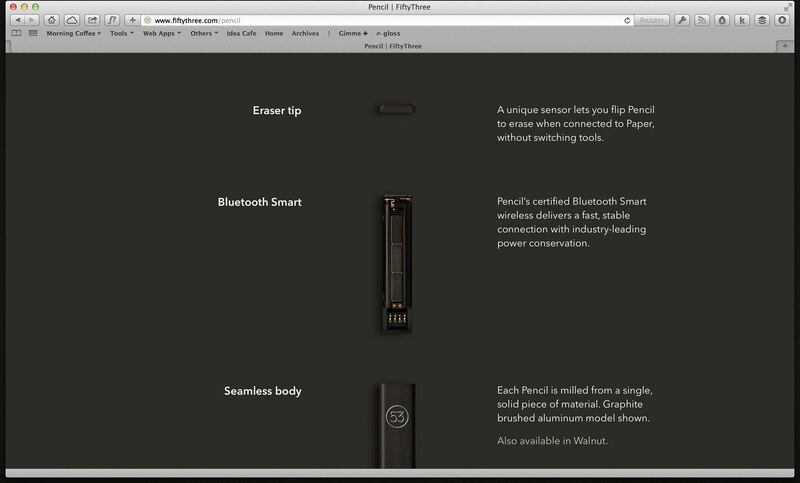 The Pencil site developed by Jonnie Hallman for Paper is a great one (no, not that Paper, the first one). The design is very clean and attractive, it scrolls like butter (very important), and towards the end there's a small bit of animation with the Pencil. It's a small addition that adds to the core message of the page, rather than take away. When used as more than just a subtle design detail, animation can provide cues, guide the eye, and soften the sometimes-hard edges of web interactions. When the goal is to add to the experience, I think there's a place for these tools (the on boarding experience with the recently launched Slack is another good example). But when they're employed for the sake of using a fun piece of technology, it's painfully obvious that your core message is lacking. If I never see another copycat parallax site again, I'll be a happier man. But with a slightly more open mind, I'll be keeping my eye open for good applications of these tools in order to improve my own work.